The UN General Assembly committed to “eliminate poverty in all its forms everywhere” by 2030, when it met in New York last year. The Sustainable Development Goals (SDGs) were launched with much fanfare, endorsed by heads-of-state, celebrities and CEOs. Thanks, to a campaign on Twitter, Instagram and the like, the SDGs launch was the top trending topic in the US during the assembly. Now, the headlines have moved elsewhere. Heads-of-state have returned to other pressing matters. The celebrities who spoke up for the SDGs - Usain Bolt , Jordan’s Queen Rania and Beyonce - have moved on to other tweetable events. 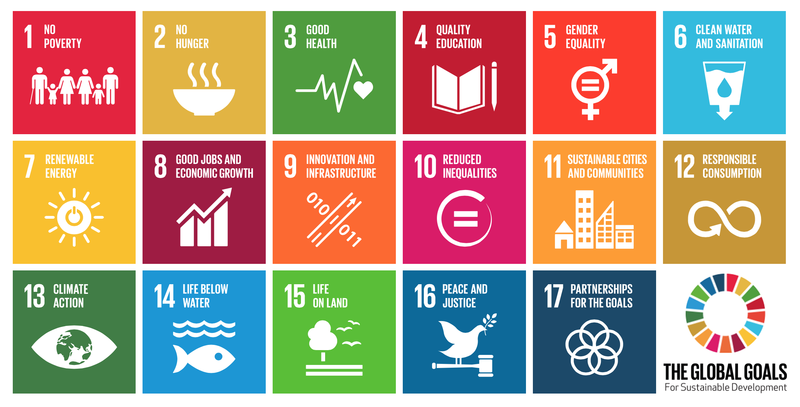 A recent survey paints a sobering picture of business engagement with the SDGs. Only 37% of corporate respondents in the US said they were planning to engage with them. Additionally, the top three goals of possible interest to business were: SDG 13: climate action; SDG 8: decent work and economic growth; SDG 12: responsible consumption and production – all classic public goods. My worry is that they are vulnerable to a tragedy-of-the-commons: each CEO, has a unilateral incentive to under-engage since the benefits are so diffuse and shared so widely. Given that 2030 is not that far, when one considers the magnitude of the goals, it is worthwhile asking, which of the many stakeholders can maintain the momentum? Whose incentives are most closely aligned with achieving the goals and who has the resources to execute at scale across countries? The answer is unavoidable: global business, as a stakeholder group, is best positioned to take the lead. Supported by the Citi Foundation, we at The Fletcher School, Tufts University have launched Inclusion Inc. We engage in research, analysis and in-depth conversations with key business decision-makers, from CEOs to sustainable development officers. Our purpose was to understand how they are integrating investments in sustainable development into their strategic mix. In this series, I’ll share highlights of what we’re learning and the implications for business and development sector leaders. To get started, consider two rules of the road en route to 2030. Since it accounts for 90% of the world’s jobs and 60% of global GDP , the private sector has a disproportionate degree of leverage and potential to fill the gaps. Considering the $3 tn (£2.1tn) a year price tag by some estimates , to accomplish the SDGs and with governments having reneged on past commitments to the MDGs’, another deep-pocketed stakeholder must step in. Sustainable development depends on sustainable business. Our research highlights why companies invest in sustainable development, and why they don’t invest enough. The most frequently cited motivation was that of mitigating business risk from disrupted operations, supplies or reputational damage. The need to adhere to industry norms of transparency, traceability, environmental responsibility came in second, with winning share and establishing a beachhead with future customers as the third. The more readily measurable and the more immediate the issue, the more highly motivating it is. Balanced against these motivating factors are the barriers. A top barrier to taking action is the complexity of the context in most developing regions. With partnerships with local actors essential for execution, companies find it hard to work with and coordinate across so many disparate multi-sector stakeholders. The SDGs offer an organising framework for partners to agree to a common end-point and then work backwards from. Having a publicly declared goal helps keep partners motivated to follow through or face significant reputational risk – and thus mitigate the tragedy of the commons. The biggest risk is if companies find it too lofty and too much of a “UN initiative” or one best left to governments - and disengage. It requires imagination to make the link between sustainable business and sustainable development. Each CEO should imagine the world of 2030 with and without progress on the goals and what the differences would be for their respective companies. The first step towards eliminating poverty in all its forms everywhere is to first eliminate poverty of the imagination. Bhaskar Chakravorti is the senior associate dean of international business and finance at The Fletcher School, Tufts University. He is also the founding executive director of Fletcher’s Institute for Business in the Global Context and author of the book, The Slow Pace of Fast Change.